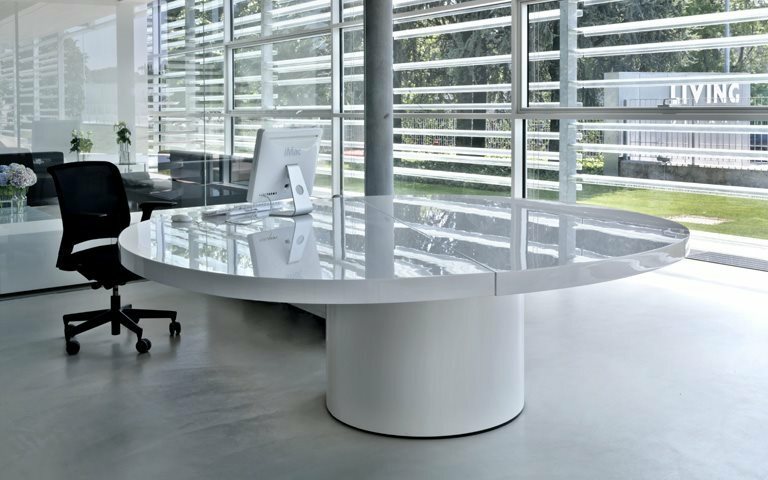 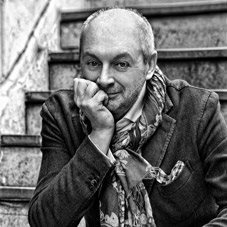 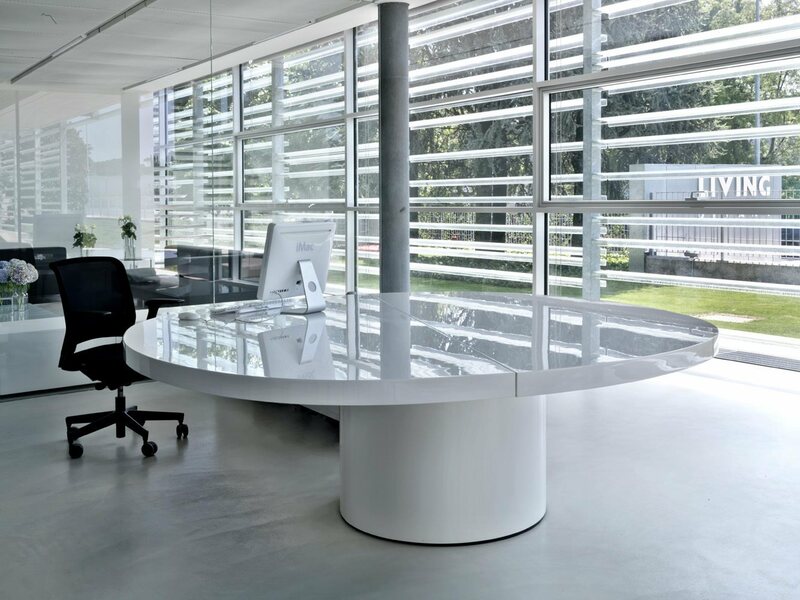 On the ground floor, the meeting room featured an oval table from the Asymmetrical line in gloss white lacquer, along with Cento storage units with gloss white lacquered doors, both designed for Tecno by Lissoni. 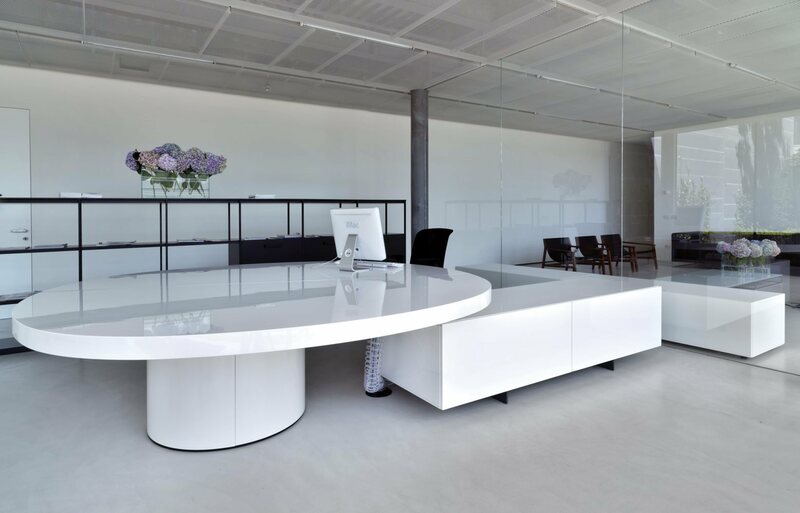 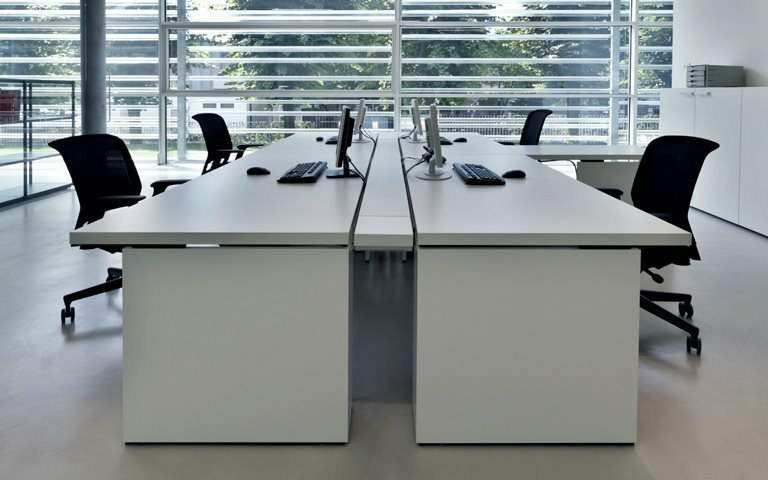 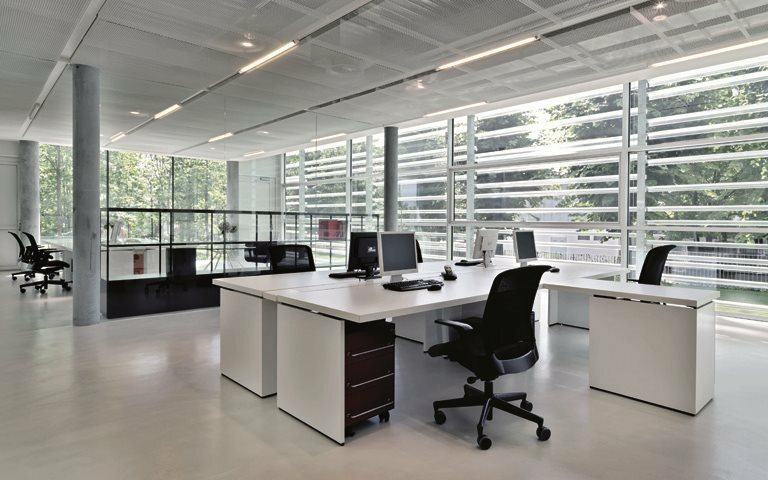 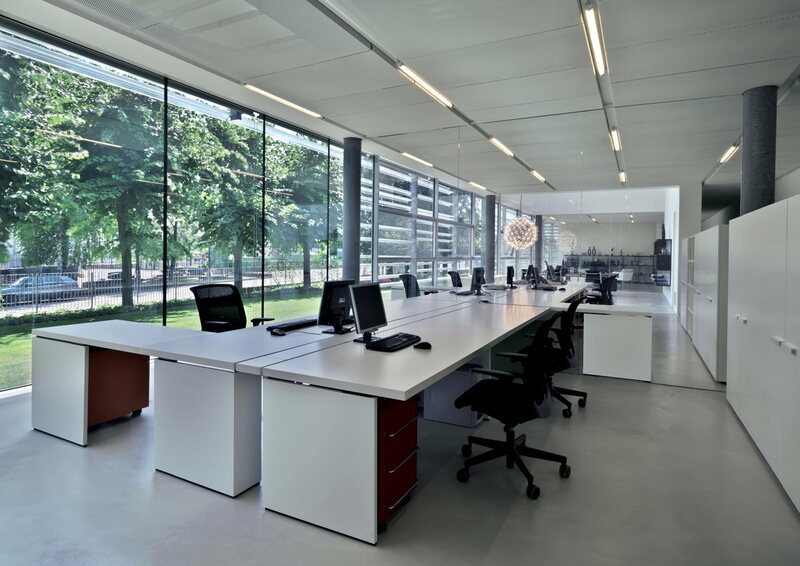 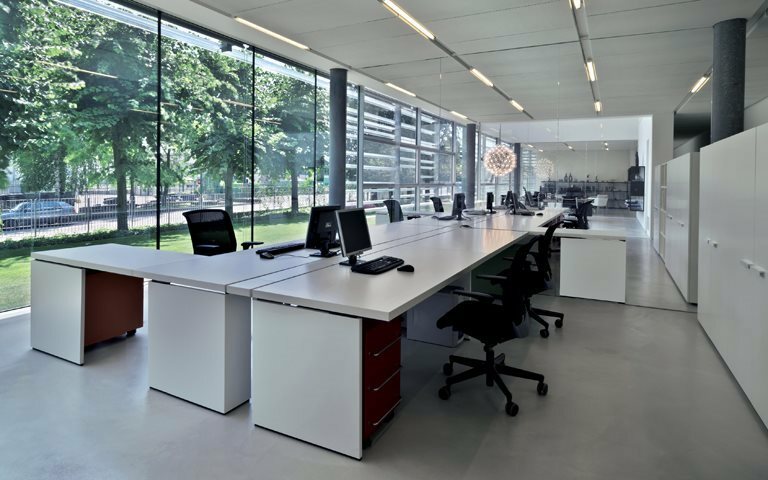 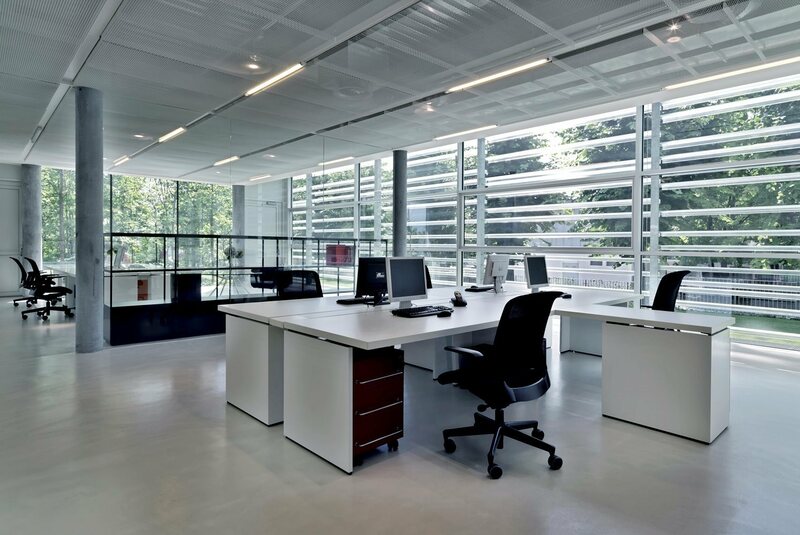 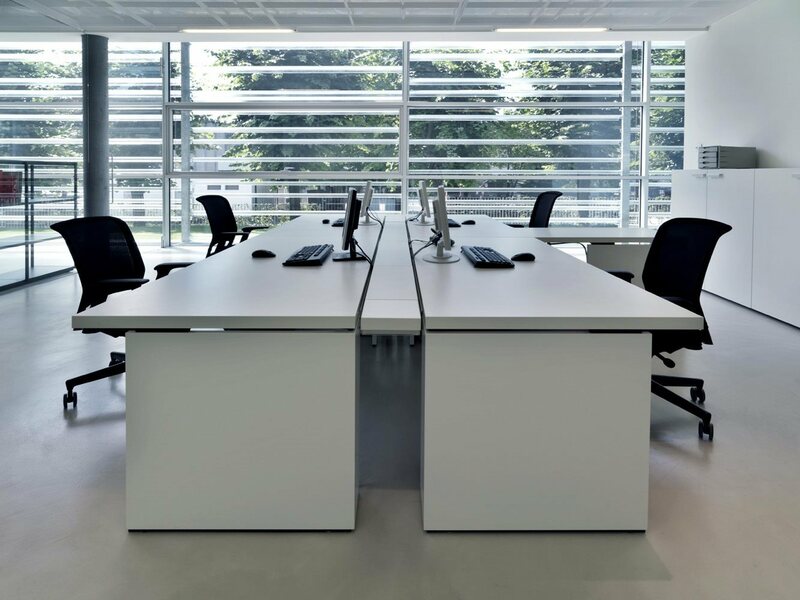 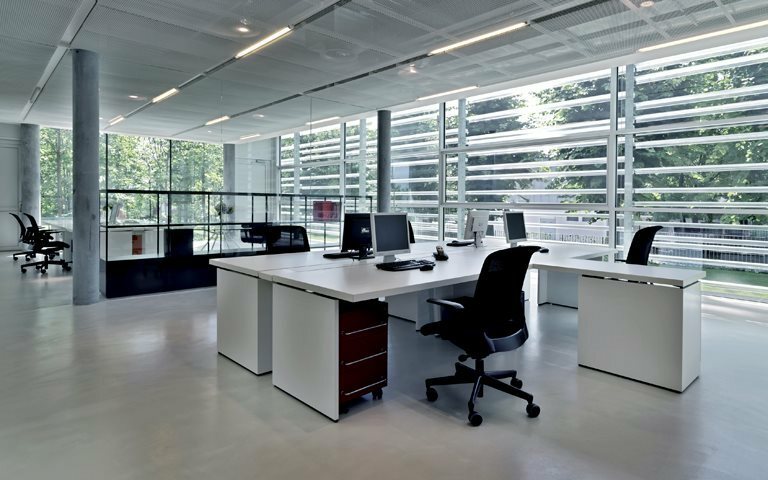 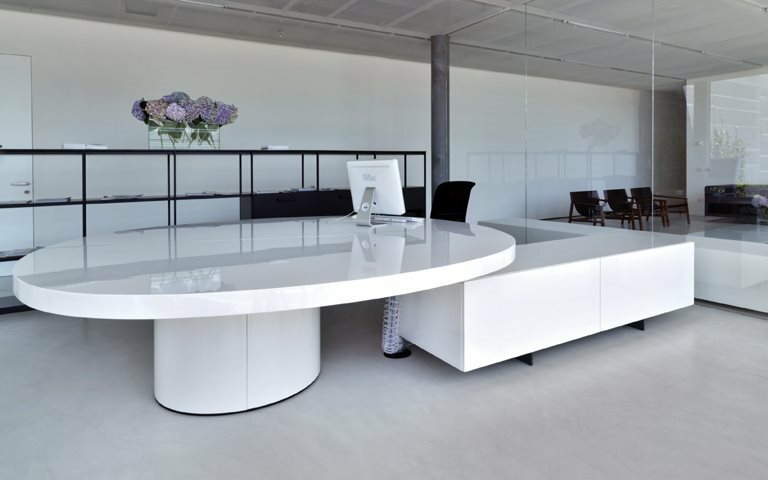 For the operations offices on the first floor, desks from the Graphis range were positioned to create two, four and six person workstations, in white melamine complete with red drawer units from the Basic range. 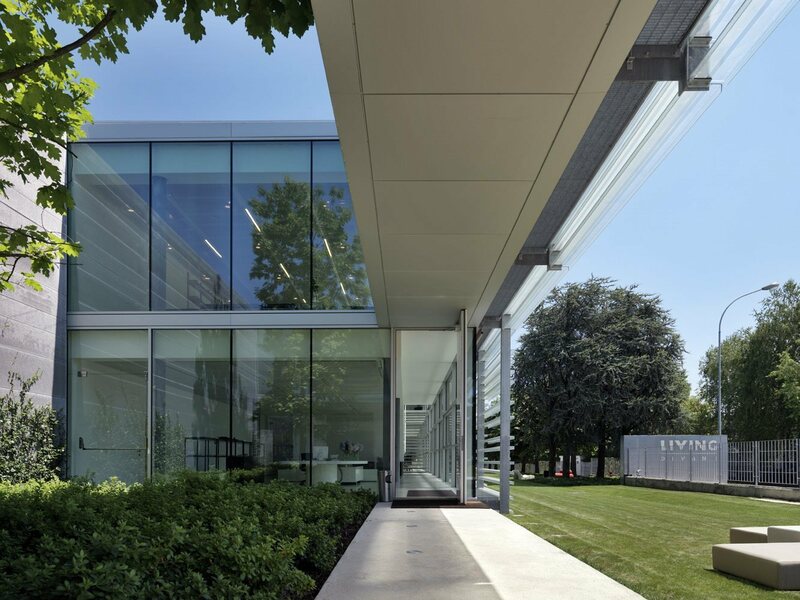 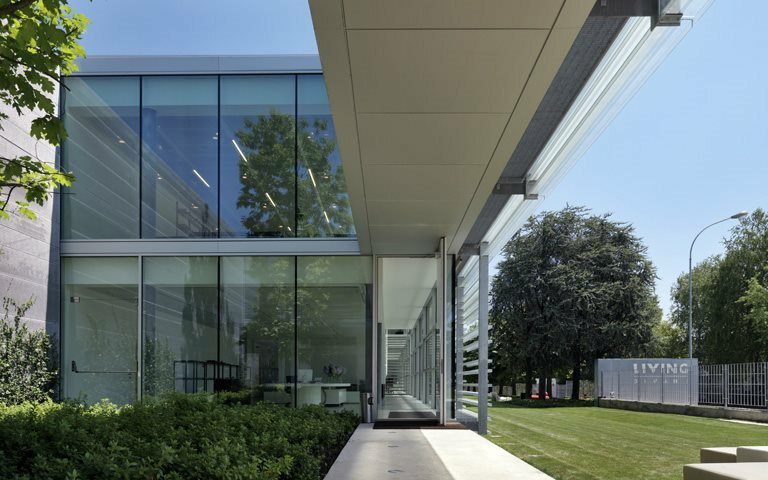 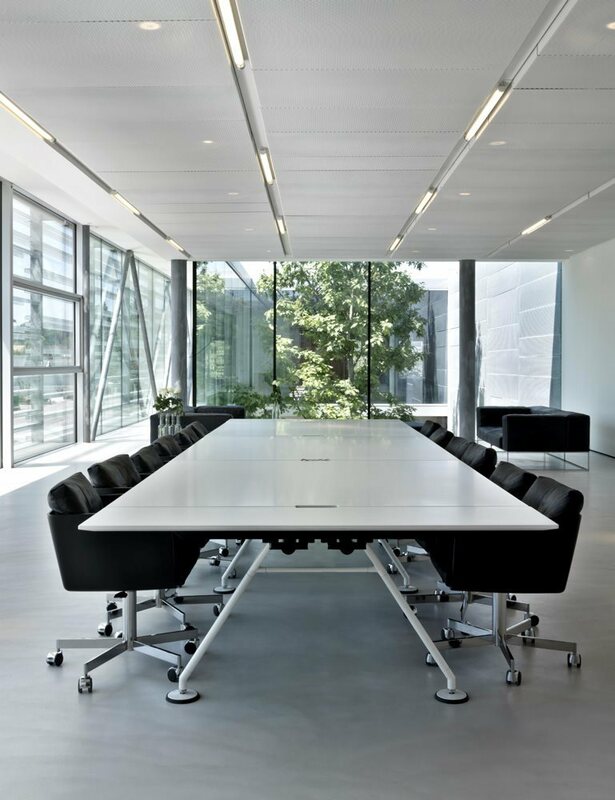 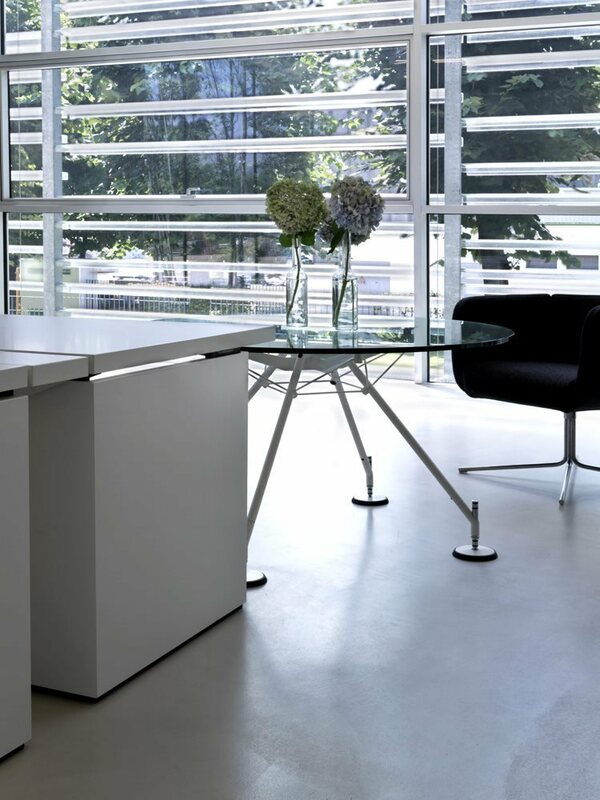 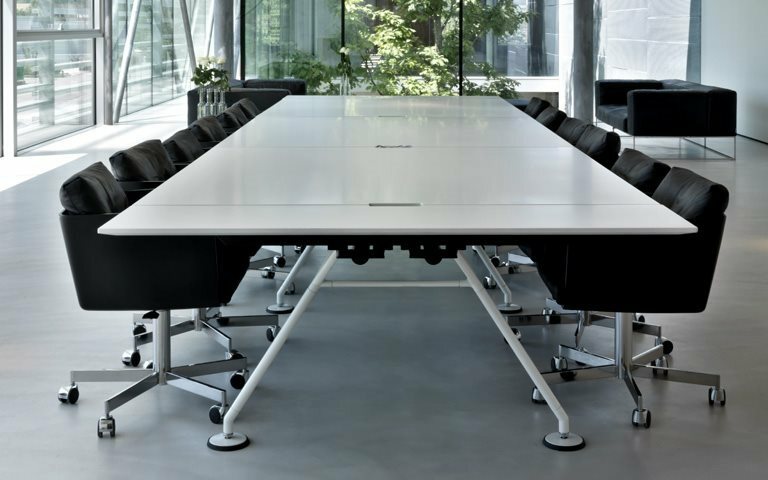 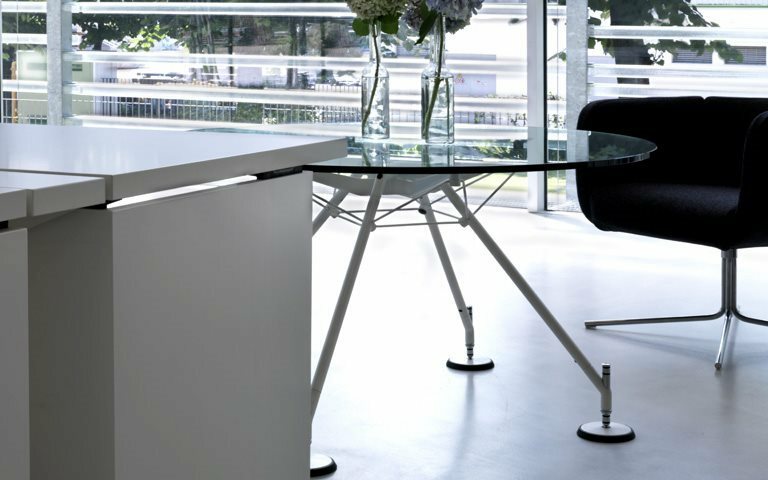 Nomos, the system by Foster + Partners, was chosen for the commercial office, comprising of twelve seats in matt white lacquer and a Nomos table in the same finish for the fourteen-seater meeting room.